When magician Steven Brundage takes the stage, be prepared to have your #mindblown. His college magic shows have been known to trigger countless “what the …? !” and “how did he …? !” exclamations from even the most skeptical students and faculty.  Steven presents a hilarious, astonishing and thoroughly entertaining show that can be adapted to any size audience and venue, and his national recognition as a 2016 America’s Got Talent Top 12 Finalist consistently draws large crowds. From arenas filled with thousands of rowdy underclassmen to more intimate college campus events, Steven’s youthful humor and down-to-earth personality (not to mention his boyish good looks) help him to connect with college students everywhere. Whether you choose Steven’s Walk-Around Magic, his Stage Show or a combination of both, your student body will be wowed by his famous Rubik’s cube act, as well as a variety of never-before-seen tricks with cards, ropes, balls and any other prop that Steven can get his hands on. Steven’s College Stage Show is designed to engage a captive audience and hold their attention for as little as 20 minutes or as long as an hour, while his Roving Magic Act allows Steven to mingle with the crowd and perform tricks for small groups and individuals for an hour up to 6 hours. The best part is that you don’t actually need a stage. While Steven has performed on many stages, as well as on national television, he can perform just about anywhere, including residence halls, multi-purpose rooms, dining halls, even outside.